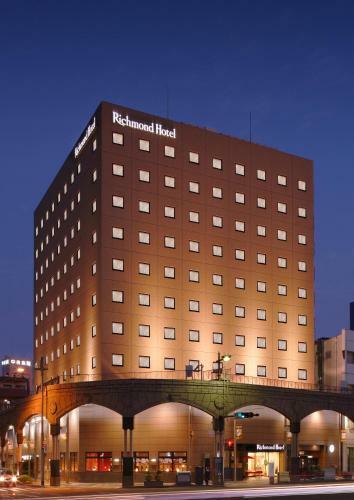 Lock in a great price for Richmond Hotel Kagoshima Kinseicho – rated 8.8 by recent guests! There was a counter/desk across the front of the room which was useful and there was enough room on one side to easily access two suitcases. Good lighting with controls on wall and headboard. Quiet. Very fine breakfast room with four choices given made to order, plus Japanese buffet of literally 30-35 items, plus a variety of drink option. You will not go hungry. Close to tram and bus lines and many shopping arcades. The usual always helpful Japanese hotel staff. 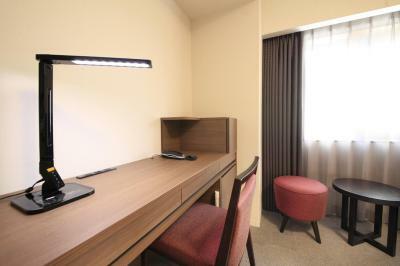 Business hotel located 15mins via tram from kagoshima chuo eki and 15mins by foot to the ferry terminal. Facilities are clean and fantastic and we got the rooms at a special genius pricing. Love it!!! Thanks. The location was pretty good with transportation easily available. 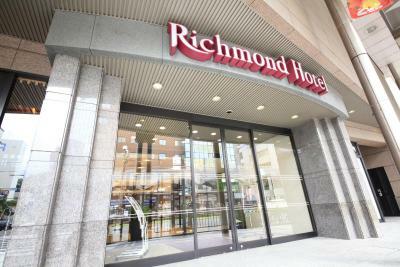 The staff was very friendly and the rooms were very spacious. Generous sized, comfortable beds. Easy to access the tram. Breakfast was available on site. Excellent location, streetcar stop just in front. Direct bus from airport also stops just across the street ("Kinseicho"). Short walk to Dolphin Port and ferry terminal. 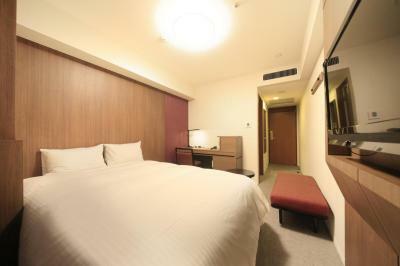 Very nice room with comfortable beds and sofa ("Premium twin"), spacious, calm. Free smartphone ("Handy") provided. The staff was so friendly, spoke excellent English and had a lot of recommendations and tips for us to better enjoy our stay. They also surprisingly upgraded our room for free, so we got an amazing Japanese style room with gorgeous bathroom at no extra cost! We felt so special and had such a comfortable stay! 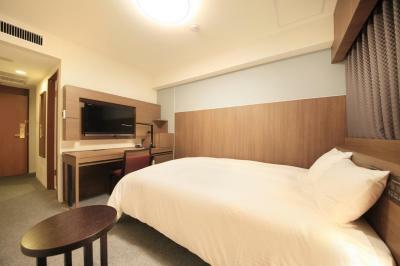 Richmond Hotel Kagoshima Kinseicho This rating is a reflection of how the property compares to the industry standard when it comes to price, facilities and services available. It's based on a self-evaluation by the property. Use this rating to help choose your stay! 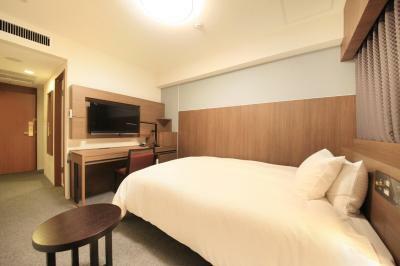 One of our top picks in Kagoshima.Just steps away from Asahidori Tram Stop, Richmond Hotel Kagoshima Kinseicho features comfortable guestrooms, free property-wide Wi-Fi and a breakfast buffet. JR Kagoshima Chuo Shinkansen (bullet train) Station is a 10-minute drive or a tram ride away. 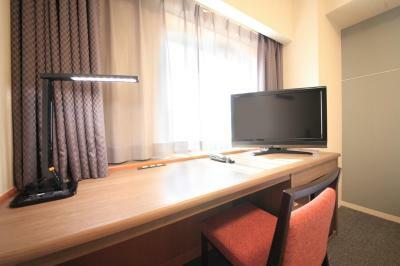 Each room comes with a flat-screen TV, a fridge and an air-purifier/humidifier. An electric kettle with tea bags is also provided. The private bathroom comes with a bath tub and free toiletries. 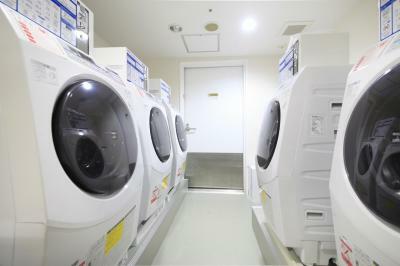 Kagoshima Kinseicho Richmond Hotel provides coin launderette, drinks vending machines and a free-use microwave. Laptops and a printer can be rented from the 24-hour front desk. Free luggage storage services are offered, while in-room massages can be arranged at an additional charge. 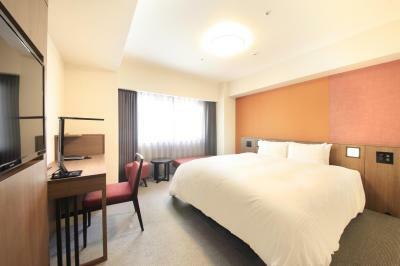 The hotel is an 8-minute walk to the lively Temmonkan-dori area and a 12-minute walk to Kagoshima Aquarium. Kagoshima Airport is a 50-minute bus ride away. Ineya restaurant on the ground floor serves a hearty breakfast buffet where guests can also choose one main dish. 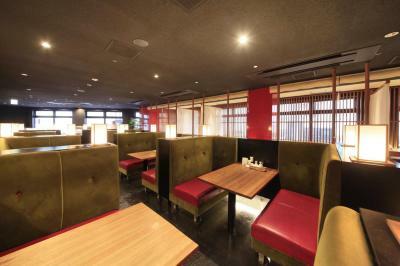 A wide range of Japanese meals are available for lunch and dinner at the restaurant, as well. When would you like to stay at Richmond Hotel Kagoshima Kinseicho? 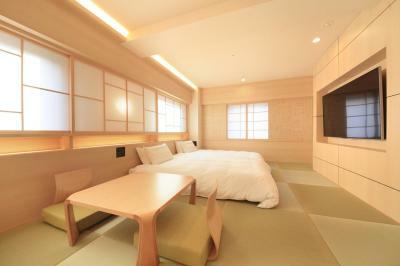 This room comes with a flat-screen TV, a fridge and an air-purifier/humidifier. An electric kettle with tea bags is also provided. The private bathroom comes with a bath tub and free toiletries. This room accommodates 2 people. 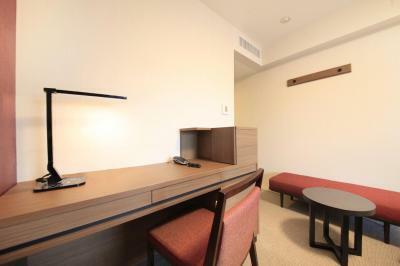 This large corner room comes with a flat-screen TV, a fridge and an air-purifier/humidifier. An electric kettle with tea bags is also provided. The private bathroom comes with a bath tub and free toiletries. 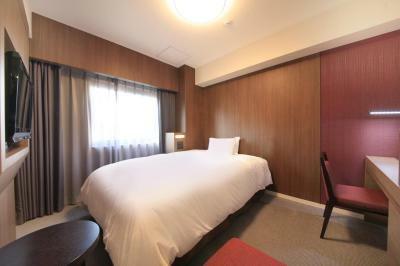 This larger room comes with a flat-screen TV, a fridge and an air-purifier/humidifier. An electric kettle with tea bags is also provided. The private bathroom comes with a bath tub and free toiletries. Features hollywood twin beds (twin beds placed side-by-side, without a space between them). 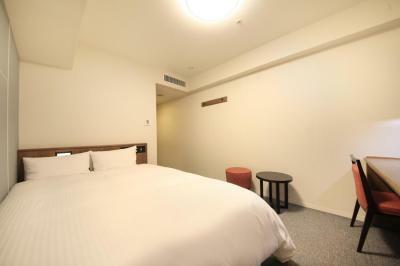 This spacious room comes with a flat-screen TV, a fridge and an air-purifier/humidifier. An electric kettle with tea bags is also provided. The private bathroom comes with a bath tub and free toiletries. 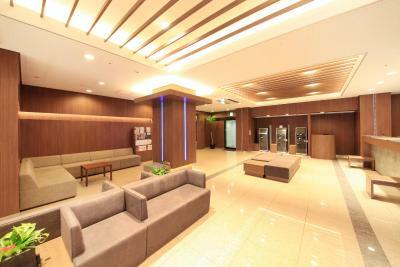 Featuring a sofa, this very spacious room comes with a flat-screen TV, a fridge and an air-purifier/humidifier. An electric kettle with tea bags is also provided. The private bathroom comes with a bath tub and free toiletries. 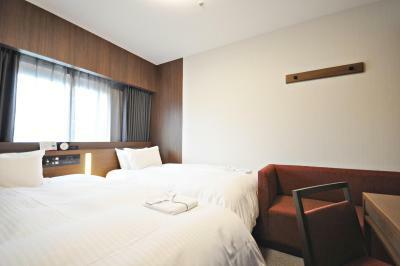 This compact room comes with a flat-screen TV, a fridge and an air-purifier/humidifier. An electric kettle with tea bags is also provided. The private bathroom comes with a bath tub and free toiletries. 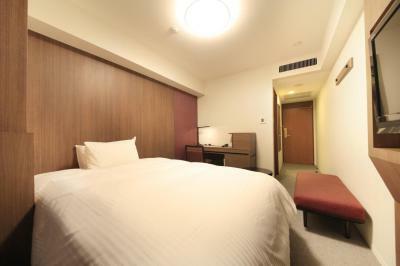 This room features 1 double bed and 1 single-sized extra bed. This quadruple room has a sofa, air conditioning and electric kettle. This quadruple room features a sofa, electric kettle and seating area.